and goes on to list (what I assume are) the names of the department members who were killed in the attacks. The other two boulders bear tablets unrelated to 9/11. 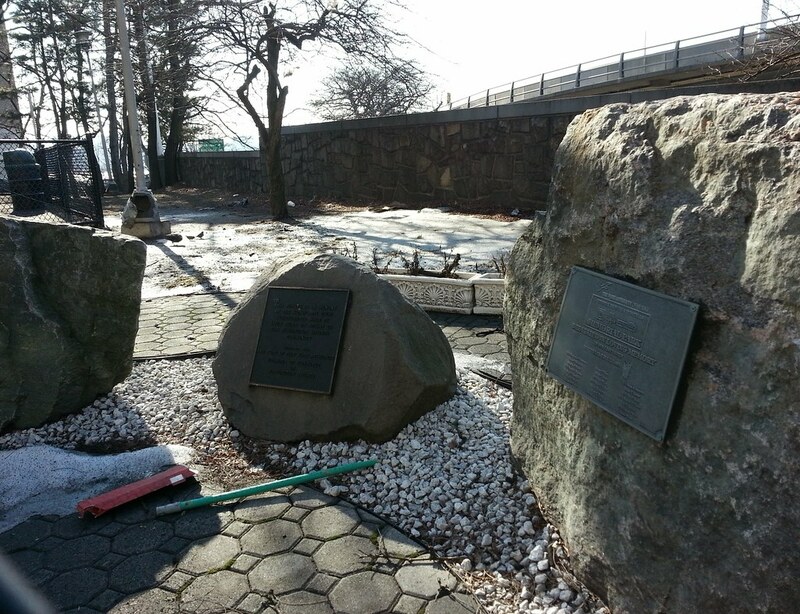 The one in the middle memorializes the "significant civic achievements" of Louie Stern, while the one on the left commemorates the lives lost when American Airlines Flight 587 crashed into the Rockaways two months after 9/11.